*There are no code changes to OBS; This isn’t a fork, just a custom-configured, “portable” build of OBS sent to me by yoshiyukiblade. This is hosted here for free, in accordance with the OBS team’s license. 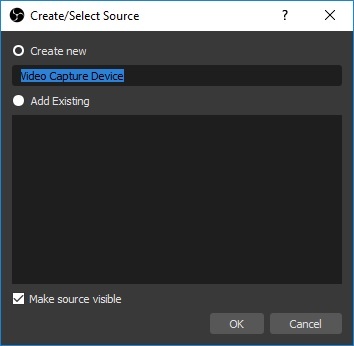 You’ll need to extract OBS, create a shortcut, then set the capture location. This only needs to be done once after first downloading the custom OBS config, or if you need to re-install or upgrade to a newer config. – Make sure you’ve installed the UTVideo codec before proceeding. – Drag that shortcut to your desktop. I recommend renaming it something like “OBS Uncompressed” so you don’t confuse it with your normal OBS installation. – Change the “Recording Path” to wherever you’d like the files saved. I have mine going to a separate drive. – Hit OK when done. – If you have a dedicated audio input device, test it now. If it’s the PC’s default recording device, it might already show up in OBS as “Mic/Aux”. If not, you might have to manually add it as one of your sources (more on that below). Now OBS is “installed” and configured. If there’s ever an issue with the software, simply delete the extracted folder, re-download the file and follow these instructions again! No worry about registry settings, or permanent PC changes, just delete and extract again! Every time you launch this custom OBS build, you’ll need to configure the video to match the source. Warning: If you’re using the Datapath direct capture method, make SURE you’ve completed this page and your Vision window is loaded and configured before starting!!! – Now here’s the very important capture settings that you need to get exactly right! – Set the “Device” to the capture card you’re using. – Enter the exact resolution that’s being sent to your capture card. 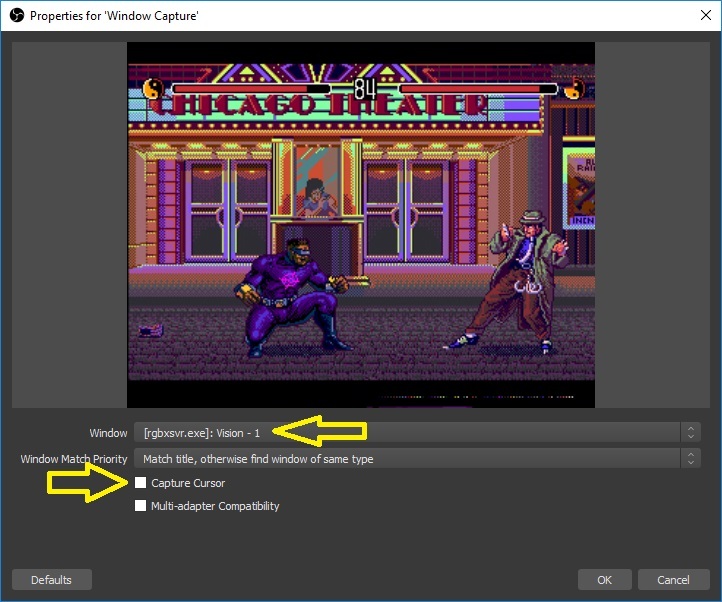 If you’re doing analog capture via a Datapath card, make sure the resolution matches what’s listed on the Input tab of the Vision window! – Video Format should be set to what you’re capturing. In most cases it will be XRGB. 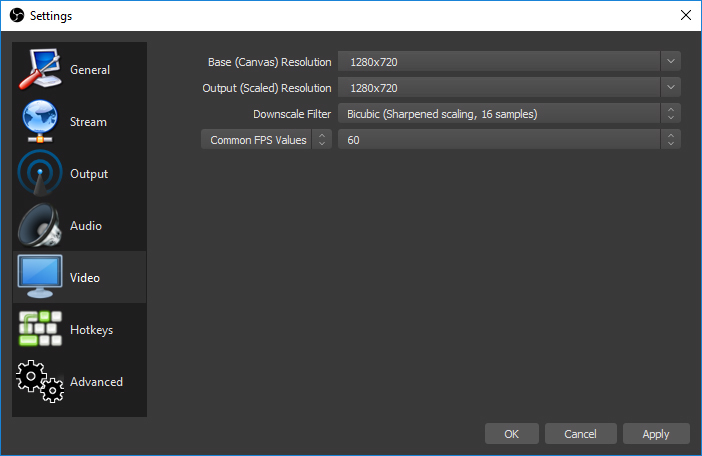 – Make sure the Base (Canvas) and Output (Scaled) Resolutions are both set to exactly the same as the Video Capture Device resolution you set above! 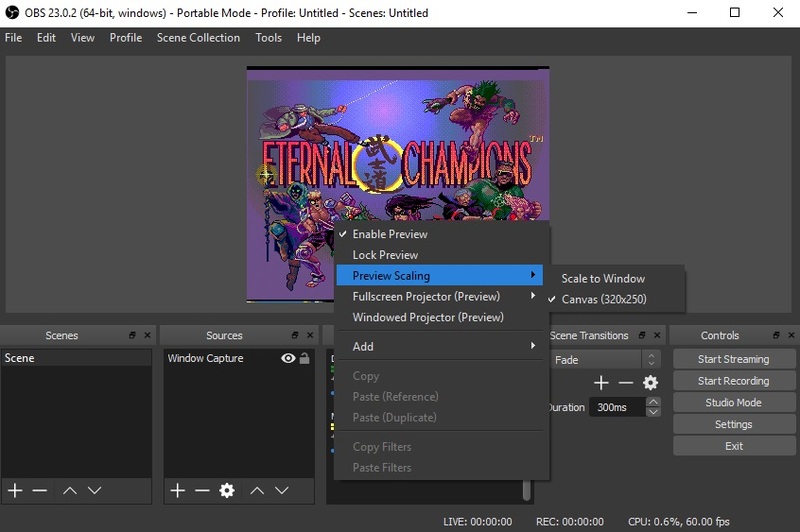 – Right click on the video inside the OBS window and set your preview scaling. 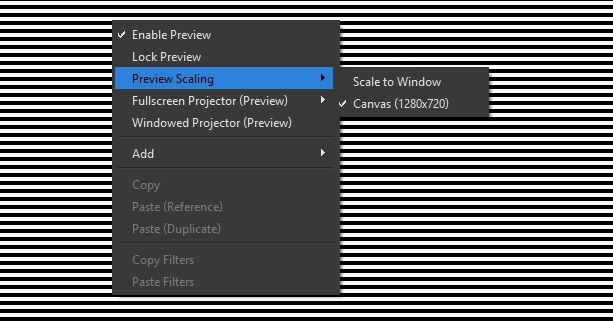 If you just need to view the window, I recommend leaving it at “Scale to Window” so the entire image will fit. If you need to use the screen for calibration, you can set it to “Canvas” and get a 100% “zoom” of the image. – Make sure your audio device is listed and working. You might need to add another source and configure your Audio Input Device. – Hit “Start Recording” and your uncompressed video will save to the target directory!!! 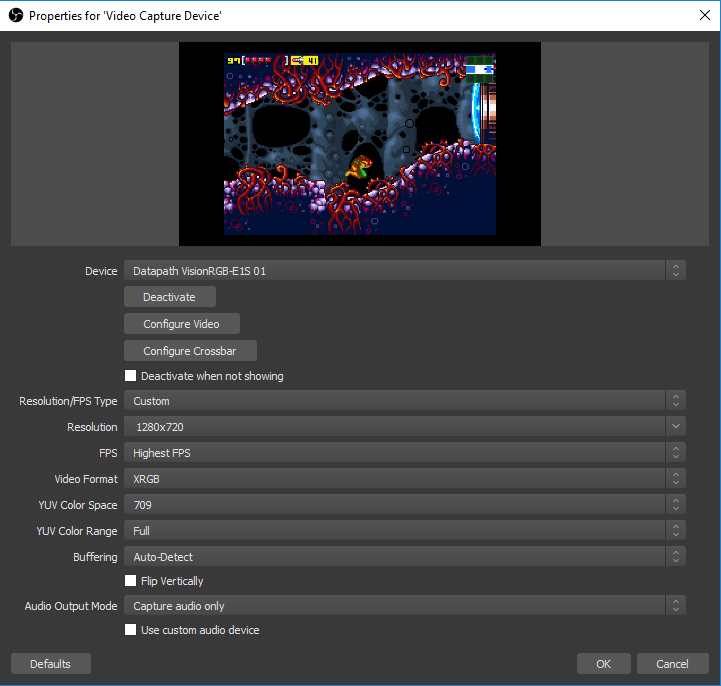 Another method of video capture that’s often used is recording the preview window of your capture card. This logic is that you can properly calibrate all of the settings directly via the capture card and not have any calibration via the recording software. 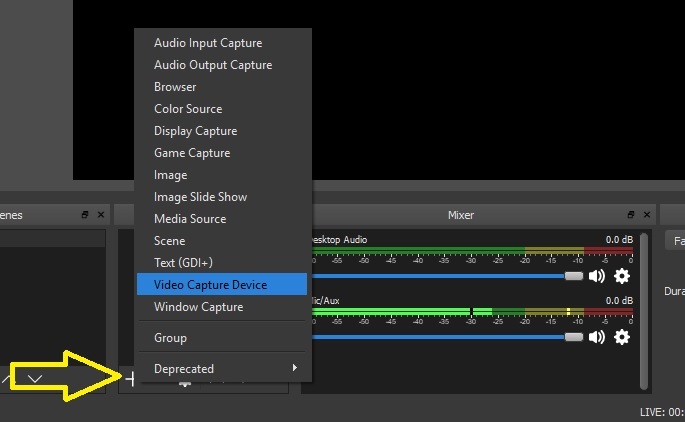 – Fully configure your capture card and leave the preview window open. – In OBS, add a new source and select Window Capture, then name it whatever you’d like. 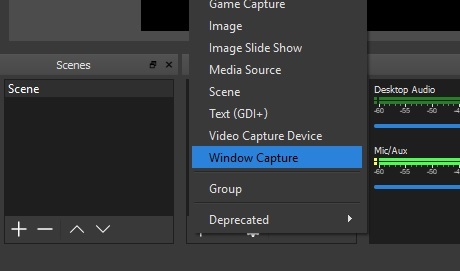 – Next, select your capture card’s window from teh drop-down menu. – I also recommend unchecking “Capture Cursor”, so you won’t accidentally get an arrow in your recording. – Make sure the Base (Canvas) and Output (Scaled) Resolutions are both set to exactly the same as what your video capture device shows! – Hit OK to go back to the main OBS screen. Click here to go to the next section: Scaling Retro Gaming Captures. Click here to go to the main capture page.